What Are The Top Ten RVing Destinations? What's new at Everything About RVing. You Know You Are A Real RVer When? What's The Funniest Thing That Has Ever Happened To You When You Have Been RVing Or Camping? As usual our Ask An RV Question section has been very busy this month. We have received numerous questions. Take a look below at some of the questions we have received. What Is The Best Truck To Use To Tow A 5th Wheel? Our RV Manufacturer Is Bankrupt And We Have Warranty Work That Needs To Be Done, What Can We Do? We have added some more articles to our RV Lifestyle Articles Page. Do you have an answer to this question? I bet you do, so let's have a little fun. I plan to post an article on our website with the best answers to this question. If you want to be a part of this article all you have to do is submit your answer on our Contact Us Page. The rules are simple your answer should be less than 200 characters in length and no profanity please. If you have other RVing friends that would like to participate just send them to our Contact Us Page. Here are a couple of examples of what has already been submitted to me on Twitter. NitroJohn: You know you're a Real RVer when you install slide outs on your SUV. MattSuess: You know you are a Real RVer when you don't mind spending nights at Walmarts, truckstops, or rest stops while on the road. So jump right in and submit your answer on our Contact Us Page. Here is your opportunity to share your Love of RVing with others. We have a lot of visitors to our site who have never RVed before. You now have the opportunity to let them know what they are missing by not being a part of the RVing Lifestyle. Share your love of RVing. Here is a recent submission from one of our visitors. So why do I love RVing? It allows my father and me to spend quality time together. We travel around for weeks at a time and I work from the RV. It gets us out of the house and around the US seeing all the wonderful sites. It is a bonding experience between you and your co-pilots that will bring many memories for your lifetime. Since I was a young lad my father tormented me with when I graduated high school him and my mom were going to get an RV and I would never see them again. Well the best laid plans do not always come to fruition. My mother passed away a few years ago and my father is disabled and needed assistance. So I changed jobs to one where I could work from home so I could tend to him. Last year, knowing of his dream I bought a motor home and we began carrying out his dream. By the end of this year we will have visited over half of the states in the US. I was doing this for him, but truly under estimated what I would get out of it. It is an amazing adventure as you travel down the road to your next destination. Where are you going to stop along the way? You find things that you normally would never see in your lifetime. You see history and get to visit small towns where everyone is nice. RVing is an adventure that I will continue to do for my lifetime. Now that you read this story, you can also Share your love of RVing. All RVers and Campers have had funny things happen to them while RVing and Camping. Here is your opportunity to share your story about the funniest thing that ever happened to you while camping and RVing with other RVers and Campers. Just visit our Funny RVing Stories page and tell us all about it. If your story is really, really funny, we may even publish it in a issue of the Everything About RVing Gazette. Below is an example of the kind of stories we are talking about. This story was submitted on Our Ask An RVing Question page, but it definitely would qualify for our Funny RVing Stories page. He also talked us through how to dump the holding tanks. We could not actually dump the tanks because we were at his house and there was no sewer to hook up to. I did take notes on everything he told us to do. I pulled both of the levers in the sewer compartment at the same time. When I pulled the levers I heard a big gushing sound as the sewer hose disconnected from the RV. I was standing right in front of it when the hose came off. Now if Bill is willing to share this story with us so can you. Just head over to our Funny RVing Stories and tell us all about what funny things have happened to you while RVing and Camping. By the way if it helps your story you can also add a photo. I am sure that Bill did not take any photographs of his sewer bath, but he could of added one if he did. The campground itself lies on the shores of Hebgen Lake, home to trout-filled waters. Wildlife in the region is plentiful - day sightings of bison and elk is not uncommon. A trip to Big Sky country wouldn't be complete without a trip to Yellowstone National Park. Madison Arm Resort offers a getaway from the often-overcrowded site of Yellowstone itself. Drive along Grand Loop Road, watch Old Faithful and gaze over the Grand Canyon of Yellowstone. The perfect road trip for couples, families or friends. Huddled at the top of a mountain, sits Tunnel Mountain Campground in the heart of the Canadian Rockies. Winter adventures and activities are aplenty at this RV Resort & Campground; or throw on some extra layers and head north to the Rockies and Banff National Park. The area's powdered slopes will challenge skiers and snowmobilers and hikers and cyclists will adore the glaciers, mineral hot springs and ice fields. The campground offers trolley service to the cozy town of Banff, a true winter wonderland as well as food, laundry and a water slide close by. Pismo Beach Oceano is rich in geographic, archaeological and cultural history. Pacific Dunes Resort offers stunning views in a secluded and quiet - but not remote - location. Guests of the Ranch enjoy nearby off-road recreation, horse rentals and boarding facilities, large BBQ areas and magnificent Pacific Coast sunsets at Pismo Beach area's most unique RV resort. Travel three hours down Route 1 from Miami to the tropical Florida Keys to find an RV island oasis. Offering oceanfront RV sites, campers will be drawn to the quiet, laid-back style of Boyd's. Located near Duval Street, where travelers can relax with a frothy margarita and enjoy Mallory Square's sunset celebration, where tightrope walkers, jugglers and fire-eaters provide nightly amusement. The Village has come to be known throughout the industry as the premier RV destination in the Northwest. Fun and adventure for all ages can be found within minutes of Mt. Hood Village. A 27-hole golf course, groomed hiking trails, rock climbing, mountain biking, miniature golf, fishing, lakes and streams to explore, and the Alpine Slide are just a few of the activities found in Mt. Hood National Forest in the summertime. Within the Village guests will find many amenities and activities, including the Huckleberry Festival, Wild Mushroom Festival and Salmon Bake Festival held each year at the Resort. The Campground offers panoramic ocean views and waterfront campsites. As New England's only National Park, much of the regions most scenic views are found on Mt. Desert Island by driving Acadia National Park's 27-mile "Park Loop Road." Take a hike in Acadia National Park, bike or stroll the carriage roads or go whale watching - the activities at Mt. Desert Narrows are endless. Don't miss Maine Lobster in July & August! Horse Thief's central location makes it easy to enjoy the best the Black Hills has to offer: Custer State Park, Needles Highway, Sylvan Lake, Mt Rushmore, Crazy Horse Monument and much more. Great location to partake in many activities such as rock climbing, photography, exploring ghost towns, mines and caves, biking, hiking, water sports, fishing and more. Highlight: Located in Fairbanks, the geographic and population hub of Alaska, surrounded by beautiful scenery and in close proximity to all of Northern Alaska's wonders. Excel Distributors http://www.exceldistributors.com is the nation's leading supplier of truck cab accessories, also specializing in RV products. Excel offers RV mattresses http://www.exceldistributors.com/rv-mattress.html , bedding, accessories and more. At Excel, we are dedicated to improving the overall quality of your RVing experiences. Ok, you have read all about the Top Ten RVing Destinations, now it is time for you to tell us all about your favorite RVing destination. It's easy and it is fun. Just go to our What Is Your Favorite RVing Or Camping Destination page and tell us all about it. You can even add a picture if you want. Here is an example of what other RVers are saying about their favorite RVing and Camping destinations. My wife and I both agree that the USA Sugarloaf Key, Florida KOA is our favorite winter escape from Upstate, NY. Normally sometime after the Christmas season I get itchy feet and it's time to hit the road for a few weeks and head for some warm weather. 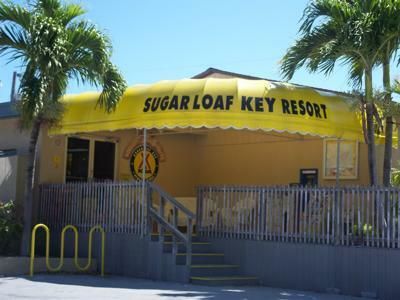 The Florida Keys are just the place to go for us and the amenities at the Sugarloaf Key KOA are exceptional. Nothing like sitting at the ocean shore and pirates cove enjoying a margarita or two in the open air bar or starting the day with a pastry and gourmet coffee in the coffee shop overlooking the ocean. A walk across from the street from the campground and you will find some of the key's best seafood. The campground is just 20 miles from Key West and Duval Street that host an abundance of dinning and shopping opportunities. We normally spend a few days at Disney's Fort Wilderness campground on the way to Key West and have discovered the magic of Disney is how fast your money can disappear. Keeping that in mind we make sure the camper is well stocked and try to avoid the $5.00 cups of coffee. Now that you have read all about Bruce's favorite place to go RVing and Camping, it is time to tell us all about your favorite place. Just go to our What Is Your Favorite RVing Or Camping Destination page and tell us all about it. Don't forget to read our Submission Guidelines before submitting your story. All The Information You Need To Know About The June 12th Switchover To All Digital TV Signals. Is Your RV Or Home Ready? Let me start off by saying that if you are currently getting TV through satellite or cable, you do not need to review this information, you will be fine. But if you are using an antenna to watch TV in your RV or home, please read on. I am amazed at all the questions I have received from RVers about the Digital Television Transition. I did not realize how many RVers are hooked on TV. What happened to just enjoying the great outdoors? You should be outside, Fishing, BBQing, Kayaking, Jogging, Swimming, Bird Watching, Star Gazing, etc. What is wrong with you people? :-) OK, I admit it, I am also hooked on TV, even when RVing. There is nothing like sitting next to a campfire roasting marshmallows while watching American Idol or Dancing With The Stars. So since I am also a TV addict, I guess I have no choice but to help you out. Below are questions that have been submitted on our Ask An RV Question Page. If you review the answers I gave to these questions, you should get enough information to ensure that your RV's or home's TVs will be ready for the changeover. This will prevent you from experiencing TV withdrawal symptoms. I bet you thought I was joking when I said that I have received a lot of questions about TVs in RVs. Hopefully, you have gotten all the answers you need to get setup for the Digital TV Transition. •	Check for potential hazards. Be sure to check the site thoroughly for glass, sharp objects, branches, large ant beds, poison ivy, bees and hazardous terrain.